Mary Ann Aikin-Randall passed away peacefully at her family home in Albuquerque, New Mexico, on January 31, 2019. Mary was born on February 1, 1948 to M. C. and Sedalia Aikin in Clarksville, Texas. She was affectionally known as Ann. In 1954 her family moved to Albuquerque, New Mexico. The family attended Shiloh Missionary Baptist Church where she accepted Christ at an early age and was Baptized. Ann was educated in the Albuquerque Public School System and graduated in 1966 from Albuquerque High School. Ann was popular in high school and was involved in many activities. She enjoyed dancing and was the preferred partner of many of high school classmates. After graduation she attended the University of New Mexico. She worked diligently at Sandia Laboratories and Blue Cross Blue Shield. On September 27, 1969 she married the love of her life Jimmy Randall. After living a short time in Texas, the family relocated to St. Louis Missouri where she was an active part of the community. 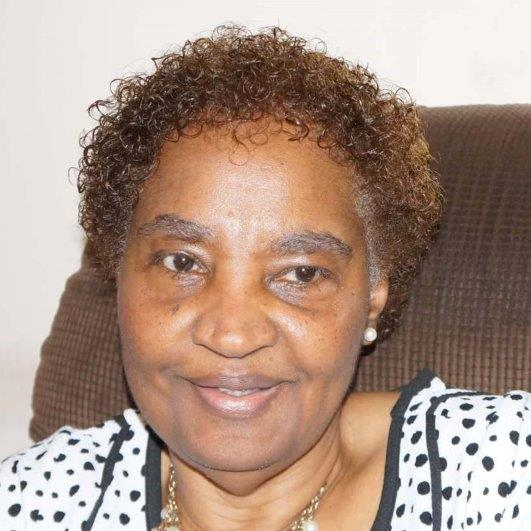 Ann was member of the Greater Mount Airy Missionary Baptist Church where she served on the Usher Board and the Hospitality/Culinary Committee. She retired after working for Western Union/AT&T for over thirty-six years. Ann was an excellent cook and loved to create new recipes. She was an avid sports fan and not only watched the games but knew the players and coaches. She loved to go on cruises. Most of all she loved good preaching. Ann was passionate about listening to music. Though she was ill for several years her strong spirit never quit fighting for life. For health reasons she moved back to Albuquerque New Mexico in June 2018. Ann was preceded in death by her parents, grandson Nathan Michael Randall and niece Tyra Perry. Those who cherish her memories: Husband of 49 years Jimmy Randall, son Keaton Randall both of Florissant (St. Louis) Missouri, son Kevin Randall of Albuquerque NM and step daughter Deirdra West of Dallas Texas. Sisters Faye Perry and Elizabeth Aikin both of Albuquerque NM, Linda Lomax (Rev. Oliver) of Dallas Texas, Lola Rainey of Stockton California, Brothers Morris Aikin of Albuquerque NM, Anthony Aikin (Jeanne) of Parker Colorado. An aunt Corline Aikin of Albuquerque NM. Four grand-children Collin Battles (Thealicia), Kendra West, Christian West, Kenneth West Jr. all of Dallas Texas and three great grandchildren. A host of nieces, nephews, great nieces and nephews, cousins and friends.